Boords offers five different PDF layouts so you can choose the most appropriate one for your storyboard! 👆Note: PDF exports are only available on Plus and Team plans. 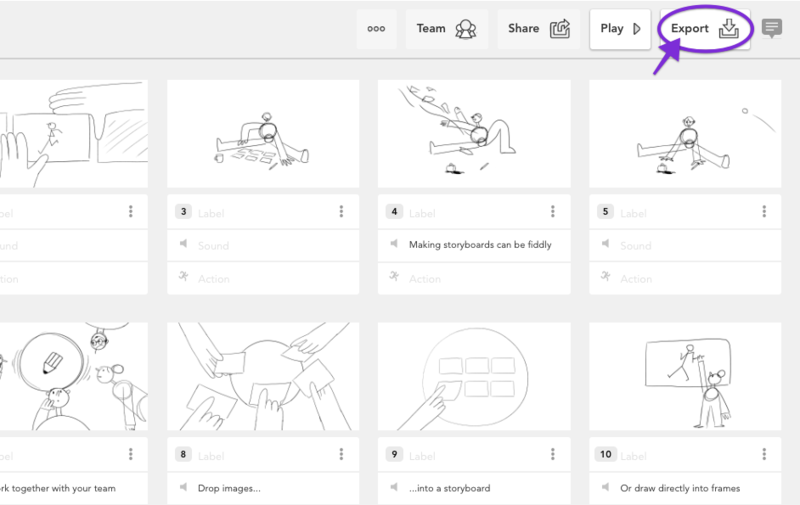 If you're currently subscribed to the the Free plan but would like to be able to export your storyboards, you can upgrade here. 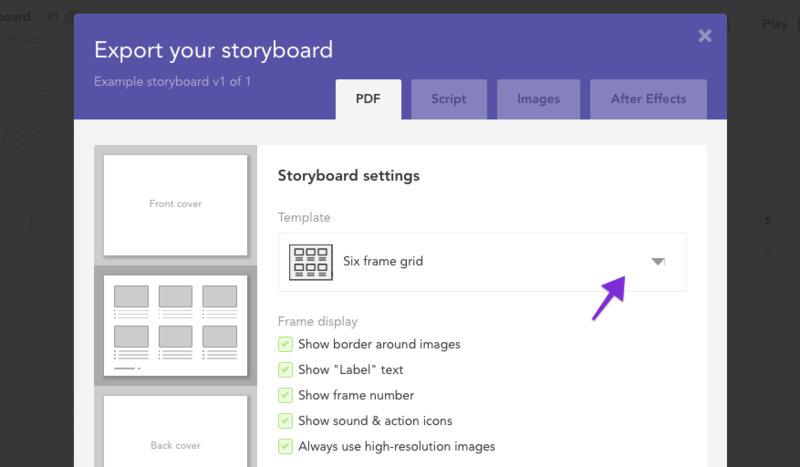 To choose your layout, head to the PDF Exporter by clicking "Export" on your storyboard. Under the Template heading, click the dropdown option to choose the layout of your choice. As you change the PDF layout, the preview pane (on the left hand side) will show you how your PDF will look when downloaded. To learn about changing the display on your PDF cover, check out this article or if you'd like to add a footer logo, take a look here. If you have any questions, get in touch and let us know!